Good honest straightforward hotel. Good evening meal, friendly and attentive staff. Close to where I was working. location is perfect for someone attending ships at Fos. I appreciate that inspite of no meals on weekends they have started keeping microwaveable packages. They have also started keeping a kettle for tea/coffee. Both welcome additions. Parking is convenient, the room I stayed in was newly refurbished, outdoor spaces are scenic. The opportunity to squeeze fresh oranges for juice was a very nice touch. Very convenient for where I was working. Check in and check out quick and efficient. Very nice hotel where I have been staying now a few times, and always very happy with the quality and service. Nice restaurant and food. the rooms have been redecorated since my last visit, and I was lucky to be part of a 10-year celebration party. A la prochaine. 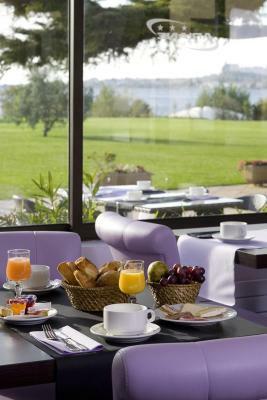 The parking was very convenient and hotel was in green surroundings with a nature park nearby. The staff were friendly. Featuring a seasonal outdoor swimming pool, Hôtel Ariane is surrounded by the Camargue and Provence regions. Hôtel Ariane features 72 quiet and spacious rooms, including 6 suites. Each room has air conditioning, satellite TV with Canal+ and beIN Sports channels and a mini-bar. 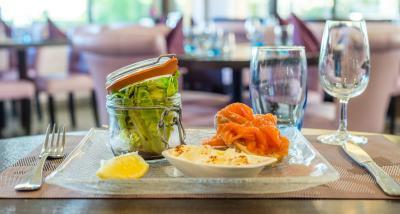 Guests can dine at the hotel's restaurant, L’Etang des Saveurs, and enjoy a drink in the bar. There are also meeting rooms at the property, as well as a terrace and a park. Marseille is 31 mi away and Aix-en-Provence is 37 mi from the hotel. This air-conditioned room has a mini-bar and Canal+ satellite channels on the TV. These air-conditioned rooms have a mini-bar and Canal+ satellite channels on the TV. Extras in this room include views of the pond. The design of the bathtub is such that one has to lean towards tgrh shower to get the shower. This could be risky. The staff are incredibly rude and go out of their way to be unhelpful. Service is not a word that is understood. Bathroom is stinking so much. The bathroom shower drainage was poor, the eggs for breakfast were dry. This is a very basic hotel. Fine for a short business trip but not much else. Evening meal is nicely cooked but the menu is very limited. Restaurant was understaffed on the first night but even so I waited a long time to be served and then drink took a further long time - not acceptable. Give me a drink & bread and I am happy to wait for the meal itself. Service much better and friendlier on the second night (Wednesday, 6th June). Breakfast very basic indeed and not value for money. Building work going on. Probably I wouldn't of stayed if knew. I was woken up by banging ECT. Rooms nice an clean and beds were comfortable. Restaurant could be open on all days. It wasn't open at all during our stay except for breakfast. There was work going on outside our room which included drilling. The temperature was difficult to control and was either too hot or not at all. The toilet was poorly designed with the shower faucet in the bath situated behind the shower curtains. The airconditioning was ineffective. the restaurant was not open on weekends and holidays. There was no coffee/tea facility in the room. Breakfast a ltttle basic and not good value for money.